This webinar discusses key findings from the report. 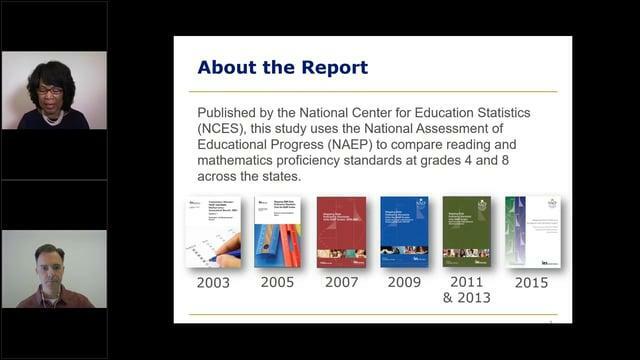 Learn how the proficiency standards for reading and math set by each state compare with the standard used for the National Assessment of Educational Progress (NAEP), a.k.a. the “nation’s report card.” The report also provides a historical look at how state proficiency standards have changed over time — whether states are raising the academic bar. The report and webinar are based on testing data from 2015. Most, but not all, states were included in the analysis.